Welcome to Part 2 of this (undefined number) part series! As a refresher, you can read my previous post about creating a cartoon here. 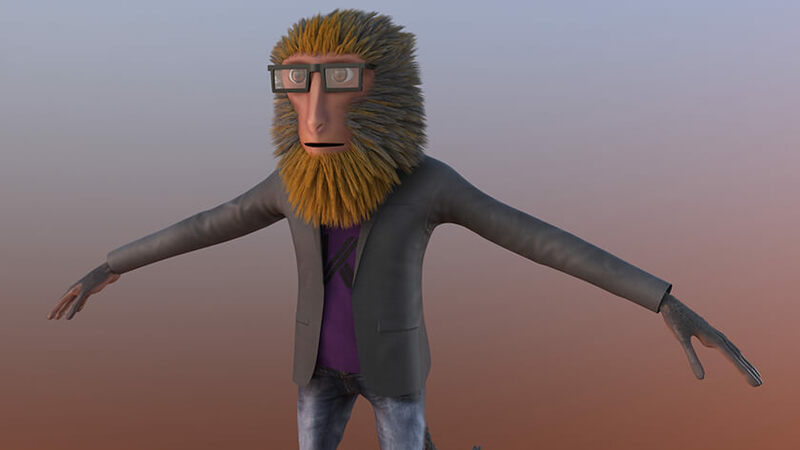 This is where we create the character in a digital 3D environment. Now we have to start building him in 3D. 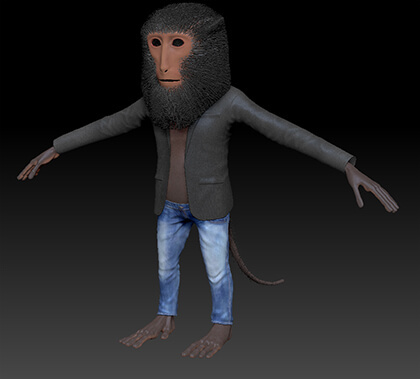 For this, my software of choice is ZBrush. It’s interface could be described as digital clay. It allows for a more free-form creative process than traditional 3D software packages. He’s modeled into a neutral pose so that it’s easier to paint into all corners and it’s a good start position for animating. At this point we have the base model to work on. There’s no fine detail, no fur, no clothes, and no colour. Before we can add any of that, we have a some tedious work to do. Right now, this model has close to 2 million polygons. For reasons we’ll talk about later, this is too many polygons. What are polygons, you ask? A 3D model is made up of 2D shapes (usually triangles or squares) and arranged in 3D space, edge to edge. This is a closeup look at the model. You can see it’s made up of little squares. 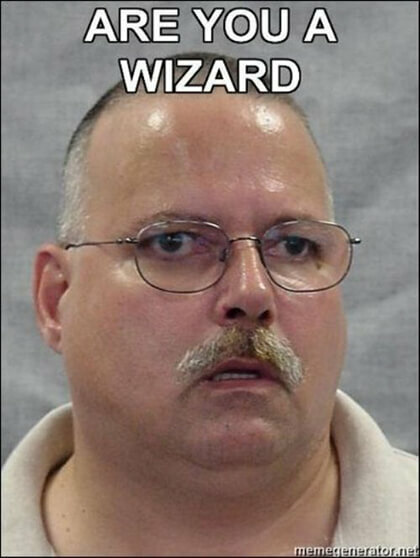 Those are the polygons. They’re sorta like pixels in a digital picture; the more you have, the greater the detail. What are you even saying to me? 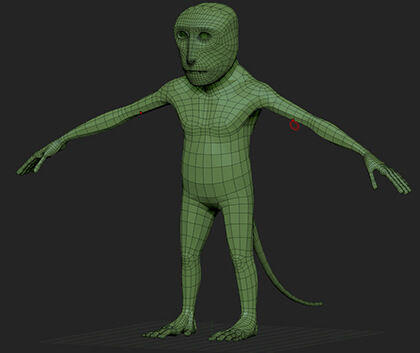 Suffice it to say, we need to drastically reduce the polygon count of our model. 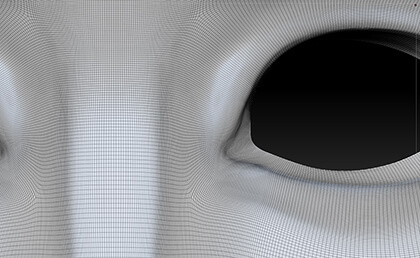 This is achieved through a process called retopologizing where you trace the contour of the model. The result is a model that retains the basic shape, but is lower resolution. We are going to need to keep a high resolution version for later, so we’ll retopologize a duplicate. We will add back the detail later with some tricks. 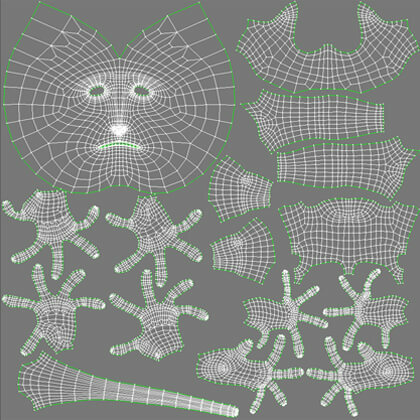 Now we are down to 7,000 polygons which is much more manageable. The areas that have smaller features or have bending parts will generally have more polygons. 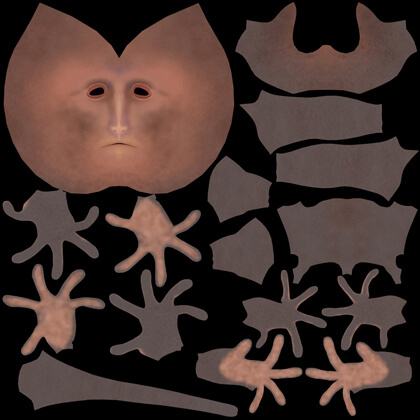 They are also placed in such a way that will make animating the character easier. The tediousness doesn’t end here. Before we can paint on him, we have to apply UVW mapping. This is basically like skinning the model and flattening it out. The 3D software uses these 2D maps and wraps it around the model. Now that that part is done, we can get back to fun parts; painting! This process is similar to the sculpting part. We use a variety of brushes to paint on layer-by-layer. This is the first map of several. To regain the detail we lost when we retopologized, we have to create more maps. 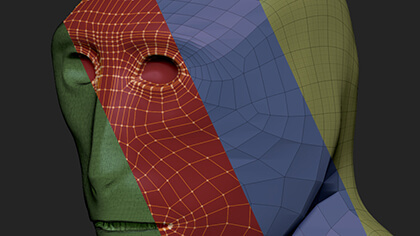 ZBrush creates these maps by determining the difference between our high resolution model and retopologized one. The 3D software uses the black and white map to deform the surface of the low-res model into the shape of the high-res one. Brighter values are pushed out further than the darker values. The blue map determines the angle light reflects off the surface. 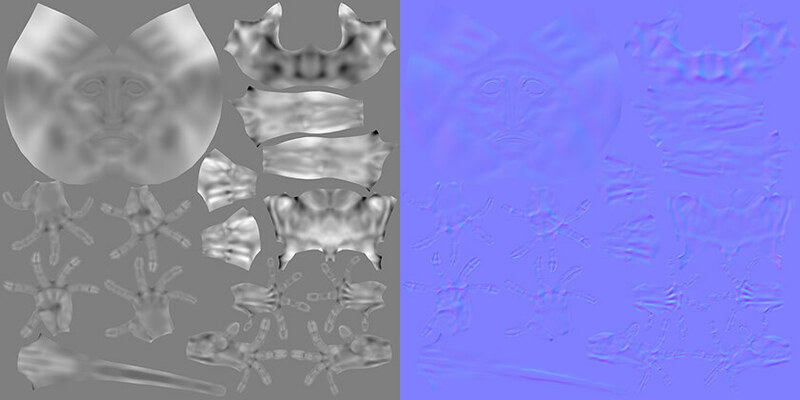 After applying these maps to the model, we have a low res model that looks like the high res one. This is important for two main reasons. 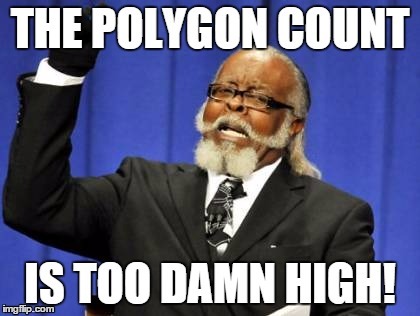 First, it’s easier for the computer to calculate less polygons. 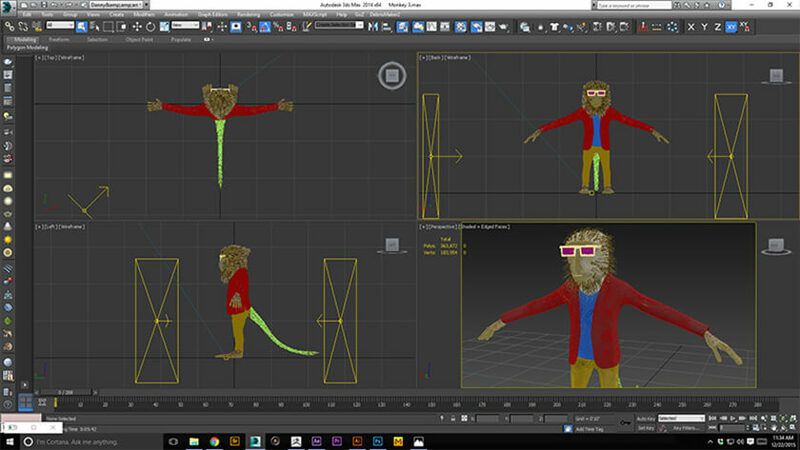 Second, when we set up the character for animation, it requires less work. That is the subject of our next episode. Now that that part is done, we have to repeat the whole process for each item of clothing and add some hair. 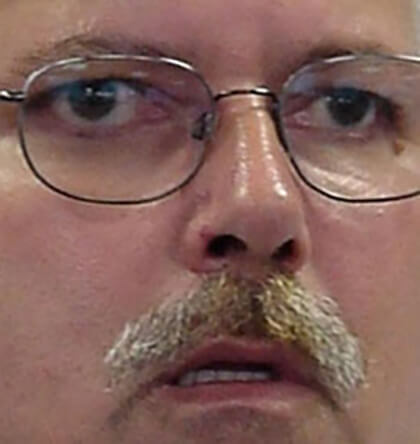 After that is done, we export the low res version of all our models and import them into another 3d program because ZBrush doesn’t have any animating capabilities. I like to use 3ds Max. 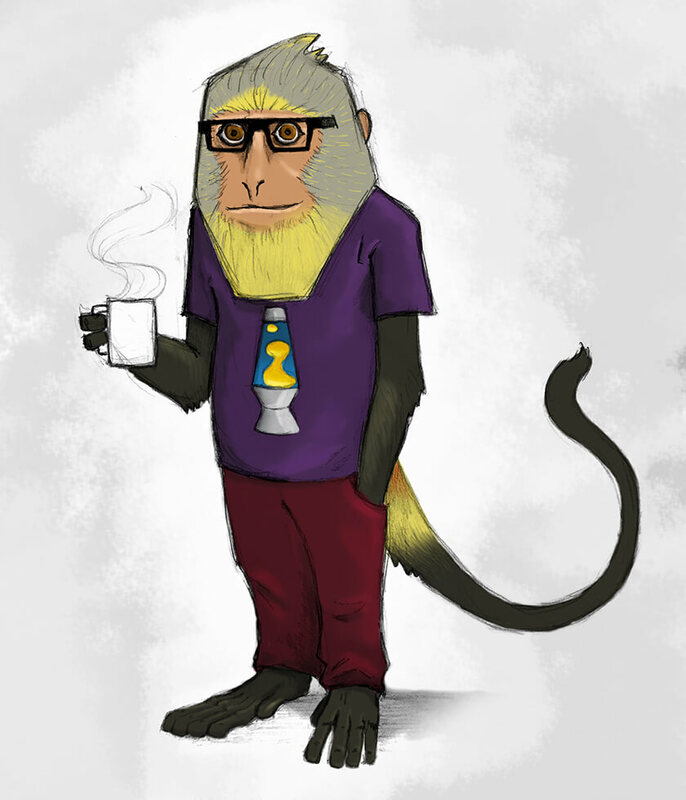 We’ll also add some final touches like eyes, glasses, and adding colour to the fur. 3ds Max is where all the animating and rendering will happen so this is a good time to see what the model will look like. 3d programs use the same principles as photography and videography, so we’ll create a simple scene with a couple lights and a camera and get some predictable results. I’m going to add some big panel lights to soften the shadows and give more even lighting.